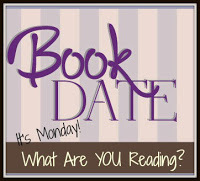 Book By Book: It's Monday 5/29! What Are You Reading? Happy Memorial Day! Here in the U.S., that means the unofficial start of summer, so the big news is that I kicked off my annual Big Book Summer Challenge this weekend! Woohoo! I love this challenge - it gives me an excuse to finally read some of the bigger books that have been languishing on my shelves. It's super-easy going, like summer - you only need to plan to read 1 big book (though you can read more) of 400 pages or more sometime between now and the first Monday in September (Labor Day). That's all there is to it, so I hope you'll join the fun! Details and link-ups are on the Challenge page. You don't need a blog to join the challenge - you can participate through the 2017 Big Book Summer Goodreads group or even just by leaving a comment on the challenge page. I even got my husband to do it this weekend! I finally finished The Journey of Crazy Horse: A Lakota History by Joseph M. Marshall III, a nonfiction book I read for my neighborhood book group. It was fascinating, especially since we have family in South Dakota in the Black Hills region and visit the area frequently, but it was slow-paced and a bit repetitive. Still, I am glad to have read it and learned a lot, though it was pretty depressing - I knew from the beginning how it ended! Next, I zipped through a couple of short books. I read Newsprints by Ru Xu, a middle-grade graphic novel. It's a steampunk story with manga-inspired colorful artwork, about an orphaned girl who disguises herself as a boy so she can work as a newsboy. There is also a kooky inventor, a city newspaper, and a long-time war ongoing. It was good - fun and entertaining - and there will be a sequel. Next, I read The Little Prince by Antoine de Saint-Exupery. Can you believe I'd never read this classic before? I was inspired to get it from the library after reading a chapter about it in Books for Living. I had no idea it was about an alien!! I am very happy to have finally read another classic for my Classics Challenge (which isn't going very well this year so far). And, now, I am turning my attention to my first Big Book of the Summer! I'm starting The Scorpio Races by Maggie Stiefvater today, a middle-grade novel. I'm a huge fan of Stiefvater's novels, but this one has been sitting on my shelves for way too long. For me, the Big Book Summer Challenge also gives me the chance to make a sizeable dent in my TBR shelves, for the Read My Own Damn Books Challenge. On audio, I finished The Baby by Lisa Drakeford, a YA novel about a teen girl who unexpectedly gives birth on the bathroom floor at a party. It starts as one of those stories you hear in the news once in a while about a young woman who didn't even realize she was pregnant, but it's quite in-depth emotionally and tells the story from five different points of view. I enjoyed it. Now, I am listening to Projekt 1065 by Alan Gratz, a middle-grade novel. It came out last fall, but I've been postponing listening to it because I kind of OD'ed on WWII stories. Despite that, I am totally hooked on this novel, which is entirely unique, about a young boy who joins the Hitler Youth in order to be a spy for the Allies. It's completely compelling so far. I also enjoyed Gratz's YA novel Code of Honor. My husband. Ken, finished Little Green by Walter Mosley, one of his Easy Rawlins mysteries. I got Ken hooked on Mosley after I read one of his novels for our All-County Reads program a few years ago. He enjoyed this one, too. Ken is now reading his first Big Book of the Summer, Paul of Dune by Brian Herbert and Kevin J. Anderson. This is a kind of spin-off novel from the classic Dune series, written by the original author's son and a co-writer. Dune is one my husband's favorite novels. Jamie, 22, is continuing to re-read the Tunnels middle-grade series by Roderick Gordon, in preparation for finally reading the last book of the series (#6, Terminal). He finished book 1, Tunnels, and was reading book 2, Deeper, last I heard, but he just got home from the weekend and told me he is reading book 3, Freefall, now. These are all Big Books - Jamie laughed about my Big Book Summer Challenge because he said he only reads books longer than 400 pages! 2017 Big Book Summer Challenge - all the details - join the fun! You can also follow me on Twitter at @SueBookByBook or on Facebook on my blog's page. My Big Books for summer 2017! I'm glad to see your book club featured The Handmaid's Tale. I've read it twice, seen the 1990s movie, and now I'm hooked on the Hulu production. Nice bunch of books. I would say though that The Scorpio Races is more YA than middle grade. I hope you enjoy it. While I like Maggie as a personality, I have some issues with her books. Come see my week here. Happy reading! You're right, Kathy - I thought it was middle-grade, but I was wrong - it's YA, like her other novels. It's very strange so far, but her writing is very compelling. What a wonderful way to spend the holiday weekend! Although I loved the Raven Cycle by Maggie S., The Scorpio Races is also a favorite. She writes terrific tales. Thanks for reminding me about Projekt 1065. I know I'd like to read it. Thanks, Sue. I loved The Raven Cycle, too! And also her Shiver series - funny thing is, I'm not usually a huge fan of this type of fantasy novel, but her writing is just great. Projekt 1065 is completely engrossing! Wow. So much great reading going on! I had a really good week too. I loved The Raven Cycle, but haven't read Scorpio Races yet. Funny - I thought I was the only one who missed Scorpio Races, but it seems like a lot of people did. Glad I am finally reading it. The Scorpio Races is on my to read list, and I have heard really good things about it, although I was also told that it wasn't appropriate for my elementary students. Does it count if you listen to a book that is 400 pages long? I started listening to Projekt 1065, but found it was too harrowing for me. I hope to finish it with my eyes since I also enjoyed Code of Honor. Yes, Cherlee - I was wrong in this post - Scorpio Races is YA, not middle-grade. I'm not very far into it yet, but I can already see it's a premise that includes violence. Yes, audios count for Big Book Summer!! Absolutely - I am a big fan of audiobooks. Just check Goodreads or Amazon or similar to see how many pages the paper book has - if it's over 400, it counts on audio, too! Hope you'll join the challenge! I loved The Raven Boys, too, and also her Shiver series. Funny I thought I was the only one who missed Scorpio Races, but it seems that a lot of people still have it on their shelves! Will be interested to see how you like the Scorpio Races, there were parts of it I didn't like and others that I did, but read it quite a few years back now. Hmmm...I can see that Kathryn - it's already quite violent, and I'm just at the beginning. I read in the Footsteps of Crazy Horse last year for the CYBILS. I'm getting ready for Armchair BEA this week. Come see what I'm reading. Oh, I forgot all about Armchair BEA - thanks for the reminder! Ricki - yes, I think that's why I didn't read it for so long - the plot description just sounded weird. But her writing is always so compelling! I don't think that Scorpio Races is a middle grade book, I think it is a pretty complicated plot and love story and I think it better for high school students. I am currently reading the City of Thieves and Saints and it is just over 400 pages, so I am a qualifier. I will get a BIG BOOK CHALLENGE page up soon and add my first book to it. Thanks for hosting. Yes, you (and others!) are right, Anne - it is YA, not MG. My mistake. Yay, so glad you will be participating in the Big Book Summer Challenge!